When the tomb was sealed for the Theban police chief and his wife, it was just the beginning. However, this is my favourite at Berlin’s Neues Museum. Photos: Ted Brock. Photo montage: Susan Osgood. We know it’s an embalming cache – but for who? What’s your favourite piece at the Louvre? This is one of mine – Intef V, whose family was destined to defeat the menacing Hyksos. What makes this World Museum mummy so special? Less Hollywood. More mystery. This intriguing mummy is highly unlikely to try and wreak havoc on the world, but is fascinating for another reason. More free stuff from Nile Magazine! Enjoy free sample articles from current and former issues of Nile Magazine. 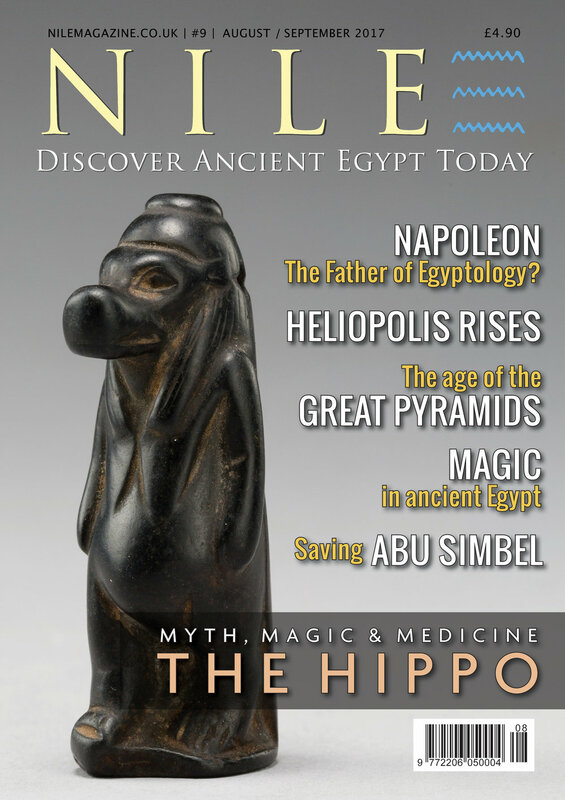 Curious about Nile Magazine? Want to check out an issue for free? Good news! Here's how you can. Great news! Nile #8 is out now! The second I saw this image I knew it had to be our cover.